Ryan is a native of North Carolina and has lived most of his life in and around the Raleigh area. He completed his B.F.A. in Studio Art at Appalachian State University. He then went on to further evolve his artistic nature by enrolling into Harris Barber College, where he graduated in 2013. Ryan has a rich heritage in the barber industry. His grandfather, RC Batten, also worked as a barber in Raleigh. In May of 2018, Ryan’s goal of owning his own barbershop became a reality, and he opened The Nut Barbershop on Brookside Drive. 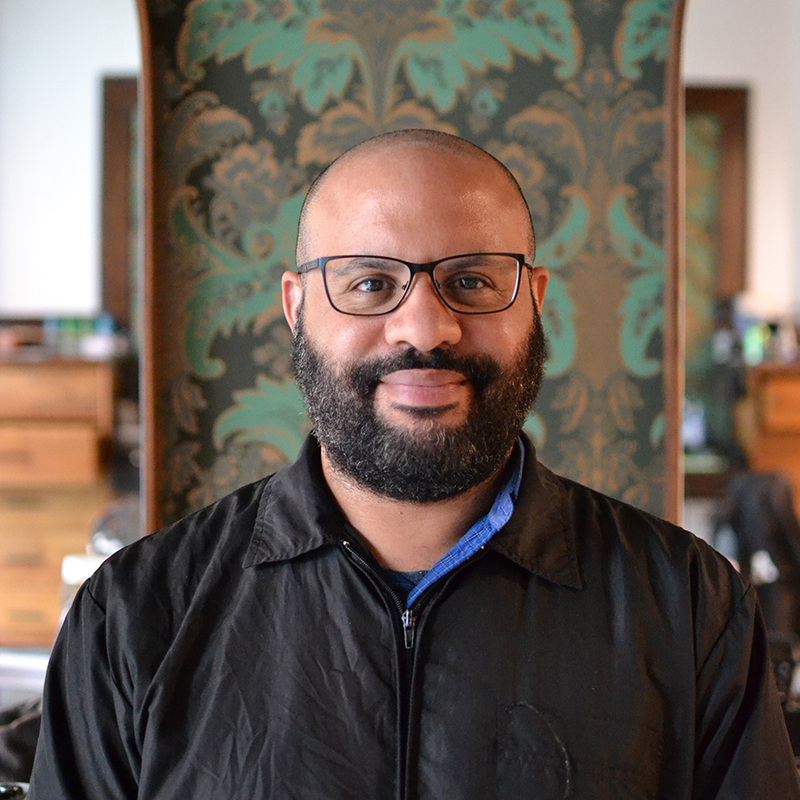 Having lived most of his life in North Carolina, John is an alumnus of Broughton High School and went on to receive his barber training from Harris Barber College soon after graduation. John has a long and tenured career as a barber, spanning 20 years. John enjoys his craft and is a master barber for men and women of all ethnicities. John lives in Raleigh with his wife, Vernice, and enjoys mountain biking, video games and computers—and he is a foodie. They have 2 boy cats named Alvin & Simon...they hope to add Theodore soon! Last appointment at 5 pm, walk in until 6 pm. Justin Dare has opened two salons in Raleigh, co-created a hair product line, editorial work and worked 20 years as a hairstylist. Now, he's bringing his expertise to focus on the barbering world and is thrilled to join The Nut Barbershop! 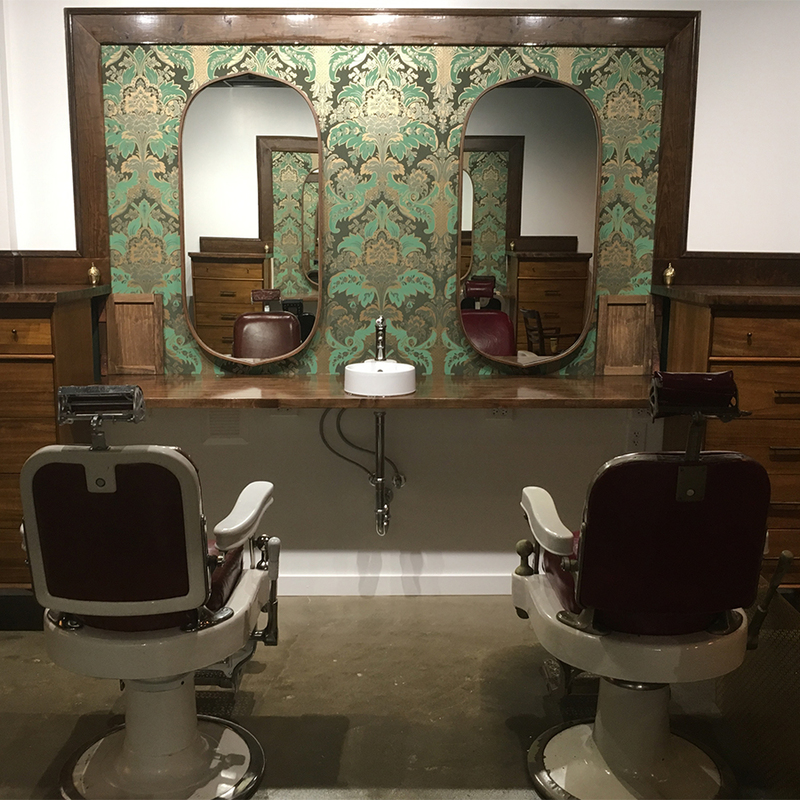 Cuts, beards, classic straight razor shaves and more. When he's not behind the chair doing what he loves, he's probably off camping with friends or checking out the new local food scene. From an early age, Raleigh native Devin has been a creative person with a passion for working with people. She decided to pursue barbering for its fusion of the two, and after graduating high school, she went on to attend barber college. There she honed her technical skills and her attention to detail, which can be seen in her work. She is very excited to start her new career and bring her passion for the art of barbering to The Nut Barbershop! In her free time, Devin enjoys spending time outdoors with her fiancée, Rachael and their two dogs. She also loves to cook and play guitar!